From the tiniest constituents of matter to the immensity of the cosmos, discover the wonders of science and technology at CERN. Join Bright Horizons for a private pre-cruise, custom, full-day tour of this iconic facility. Whether you lean toward concept or application there’s much to pique your curiousity. Discover the excitement of fundamental research and get a behind-the-scenes, insider’s look of the world’s largest particle physics laboratory. Our full day will be led by a CERN physicist. 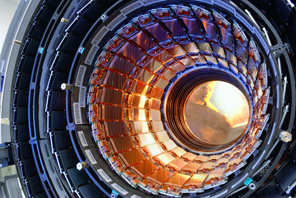 We’ll have an orientation; visit an accelerator and experiment; get a sense of the mechanics of the large hadron collider (LHC); make a refueling stop for lunch; and have time to peruse exhibits and media on the history of CERN and the nature of its work. The price is $299 and includes lunch at CERN and roundtrip transfers to/from our Geneva hotel. This trip is limited to 50 people. Vatican City is home to some of the most famous art in the world and is a UNESCO World Heritage Site. The Sistine Chapel alone hosts world famous frescos, including works by Perugino, Domenica Ghirlandaio, Boticelli, Raphael and Fra Angelico as well as the ceiling and Last Judgement by Michelangelo. 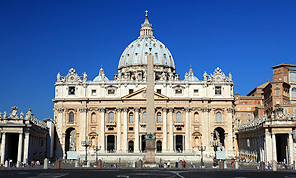 Join InSight Cruises for an exclusive, five-hour tour of the Vatican. You will be in a group of no more than eight people plus an expert tour guide. Included with your tour is a “no-lines” entrance pass and headphones for superior listening to our tour guide. Your experience includes a a visit inside the Sistine Chapel, highlights of the Vatican Museums, and a close look at the interior of St. Peter’s Basilica. Your guide will lead you off the beaten track for a trip into the Michelangelo-designed Vatican Dome (you can trek to the top, and gaze down into the church interior, or remain at a cafe on the roof of the Basilica, taking in superb views of Vatican City and Rome). Istanbul is impossible to describe, and has mesmerized travelers for millennia. Layered, amalgamated, flowing. Ancient and modern, secular and sacred. Plunge into Istanbul’s cultural whirlwind with Bright Horizons staff, who have been there, done that. On your itinerary: Hagia Sophia. It was the largest cathedral in the world for a thousand years, then a mosque, now a secular museum (so Istanbul). The Blue Mosque is defined by its 20,000 Iznik tiles. We’ll peruse the sweets, spices, and nuts at the Spice Bazaar (A little hazelnut-pomegranate nougat, perhaps?). Onward to our learning lab in Turkish hospitality, doing lunch at Topkapi Palace’s former guard house. Then we’ll immerse ourselves in the context and treasures of Topkapi, including the Treasury, Harem, and Holy Relics sections. Risking total sensory overload, we’ll conclude our day at the Istanbul Archaeology Museum. Many civilizations have left their mark at Ephesus. It’s a complex and many splendored history, often oversimplified. Bright Horizons pulls together three important aspects of understanding Ephesus which are rarely presented together. Join us! You’ll meander the Marble Road, visit the legendary latrines, check out the Library, and visit the political and commercial centers of the city. A visit to the Terrace Houses will enliven your picture of Roman era Ephesus. We’ll take a break for Mediterranean cuisine in the Selcuk countryside, and then visit the Ephesus Museum in Selcuk, where finds from the excavation of the city are showcased, and you get a fuller look at local history, from the Lydians to the Byzantines. The Parthenon and its Acropolis setting are stunning, no doubt about it. They don’t require interpretation, and compose the perfect DIY Athens excursion. On the other hand, visiting the new Acropolis Museum and the National Archaeological Museum with a skilled guide who’s on your wavelength adds immeasurably to the experience. We suggest you join Bright Horizons on a focused trip. You’ll see the Parthenon frieze, exquisite sanctuary relics, and Archaic sculpture at the Acropolis Museum. Lunch, of course, is tucked away at a taverna favored by Athenian families. For dessert, we’ll visit the richest array of Greek antiquities anywhere — at the National Archaeological Museum. Set a course for intellectual adventure on the Black Sea with your curiosity as a guide and Scientific American to take care of the details. Join Scientific American on the Bright Horizons cruise conference on Holland America Line’s ms Rotterdam, sailing Rome to Athens October 1–13, 2011. As you ply the wine-dark seas, join Dr. John Steele in tracing the astronomical legacies of the Babylonians and Greeks. Dr. Michael Wysessions conveys the impact of volcanoes and tsunamis in the flow of civilization. Sit with Dr. Michael Benton as he brings dinosaurs to life. Tune in to Dr. Mohammed Noor, as he details the nature of species. Get the latest concepts on comets with Dr. Mark Bailey. Illuminate dark matter with Dr. Lawrence Krauss. The Draconid meteor shower will punctuate your Black Sea sojourn. Typically a minor celestial event, the 2011 shower is forecast to be a humdinger. Cover new terrain, from Rome to Odesa to the Kuiper Belt. Celebrate ancient civilizations and the current moment with a friend. Find the how-tos and details at www.InSightCruises.com/SciAm-10 and join kindred spirits on a voyage of discovery. ROME, ITALY — Head straight for the many treasures of Rome and the Vatican: St. Peter’s Basilica, the Vatican Museum and Sistine Chapel, the Colosseum and more. KATAKOLON, GREECE — Gateway to Olympus, site of the original Olympic Stadium and host to some games of the 2004 Olympiad. SANTORINI, GREECE — Your harbor on this island was created by a volcano in 1500 B.C., and the effect is still explosive: steep cliffs rise from sea level, cubist white houses glow in the Aegean sun. ISTANBUL, TURKEY — Known in the course of history as Byzantium and Constantinople. This city’s rich past is evident in such sights as the Blue Mosque and Topkapi Palace, home of Ottoman sultans. VARNA, BULGARIA — The largest city on the Bulgarian Black Sea coast, home of ancient golden treasure, the 2nd century remains of a Roman Bath, and the breathtaking 19th century Cathedral of the Assumption of the Virgin. ODESSA, UKRAINE — “Pearl of the Black Sea.” Walk the famous Potemkin Steps. Shop for lacquer boxes, matrioshka dolls and samovars. Admire the Pushkin Monument, tribute to the Russian poet. KUSADASI (EPHESUS), TURKEY — Gateway to Ephesus, one of the best-preserved archeological sites in the classical world. Explore its grand colonnaded marble streets, the Celsus Library, the ancient Agoura and the Baths. ATHENS, GREECE — The port of Piraeus is your gateway to the wonders of Athens, including the Acropolis, Constitution Square, Hadrian’s Arch, the Olympic Stadium and more. Or join us for our own visit to the new Acropolis Museum and the National Archaeological Museum. Cruise prices vary from $1,799 for an Interior Stateroom to $5,299 for a Deluxe Suite, per person. (Cruise pricing is subject to change.) For those attending our educational program there is a $1,475 fee. Government taxes, port fees, and InSight Cruises’ service charge are $169 per person. Gratuities are $11 per person per day. Please use our PRICING CALCULATOR for a quick price quote! For questions, please don’t hestitate in calling InSightCruises.com (650-787-5665) or emailing Concierge@InSightCruises.com.